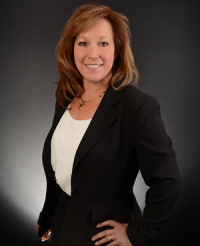 Currently Cheryl is working with buyers, sellers, builders, and is a Team leader in the New Homes Division. She is passionate and accommodating in working with her clients. She has a down to earth friendly personality with a strong respect for everyone she works with. Her greatest rewards are getting that unassuming compliment, a referral, or repeat business from her clients. Cheryl comes to us from a career in Land Development where she has transferred 25 years of knowledge to the Real Estate industry. Her ability to be detail oriented and organized comes from her past experience related to surveying research, civil and architectural drafting to engineering and design. She has a positive attitude and is dedicated to quality service to the task on hand. Cheryl is a lifelong resident in Southern New Hampshire and resides in Litchfield with her husband and three children. She has been an active volunteer in the community and school system. As a lifelong resident, she knows the state and its communities well. Her greatest success and greatest reward has been raising three happy, well adjusted, hardworking and compassionate children who are creating their own careers. As her family continues to evolve, so does Cheryl. She lives out her passion for land development, new construction, housing and real estate in general, every day and turns those passions into a valued partnership with whom she is working with. Her favorite way to spend spare time is with her family and friends. Cheryl enjoys the outdoors hiking or biking in nature, going to the beach and gardening. She finds reading her guilty pleasure to relax.